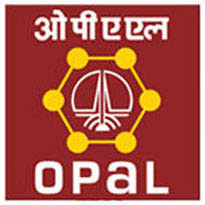 ONGC Petro additions Limited (OPaL) Published Recruitment Notification for Assistant Manager, Deputy Manager and In charge ERP (DGM Grade) Posts. View More Information like Total Posts, Posts Name, Age Limit, Qualification, Salary, How to Apply etc.. are Given Below. Qualification : First Class B.E. / B.Tech. / MBA / Post Graduate in Economics with CA / ICWA, SAP Certification in any Module would be an added Advantage. Qualification : CA / First Class MBA Finance with Professional Certification of SAP in Finance FI. Qualification : First Class B.E. / B.Tech. / MBA Marketing with Professional Certification of SAP in Sales & Distribution. Qualification : First Class B.E. / B.Tech. / MBA Operations with Professional Certification of SAP in Materials Management. Qualification : CA / ICWA with Professional Certification of SAP in Controlling. Qualification : First Class B.E. /B.Tech with Professional Certification of SAP in Basis. Qualification : First Class B.E. / B.Tech. / MBA Marketing with Professional Certification of SAP in CRM. Qualification : First Class B.E. / B.Tech. with Professional Certification of SAP in PP & QM. Qualification : First Class MBA HR with Professional Certification of SAP in HCM & Payroll. How to Apply : Interested and Eligible Candidates Can Apply Online Through Official ONGC Petro additions Limited Website.